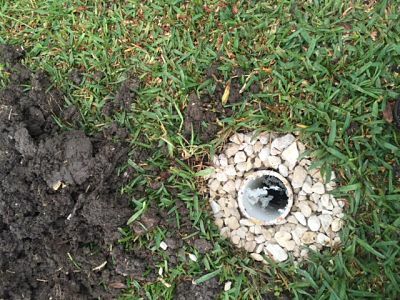 Aeration is one of the best and easiest ways to help a tree aerate the soil in the root zone. 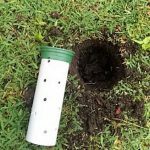 To aerate means to “introduce air into a material.” There are several ways to aerate: you can simply plunge spikes in the soil around the tree, you can buy prebuilt aeration tubes, or you can make your own. Local to San Antonio, Texas, Canopy Tree Service workers made these tubes on site with materials from Home Depot. The purpose of the aeration tubes shown on the left was to help boost nut production in two pecan trees in a ladies yard after one tree had been knocked down by a truck. 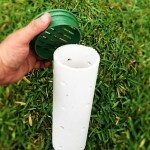 Installing these types of tubes benefits the tree in a few different ways. It distributes water and oxygen to deeper parts of the surrounding soil. If there is super compacted soil surrounding the bottom of the trunk area of certain trees like an oak tree, it can slow down the growth. 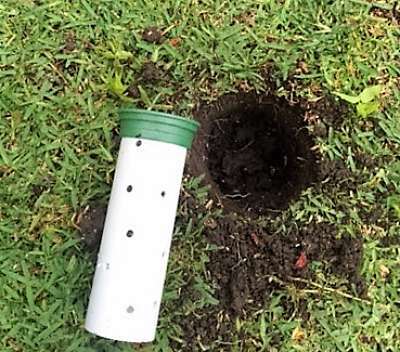 Inserting tubes in compacted soil helps protect the soil from staying compacted. Another way to help boost tree growth is deep root feeding. Deep Root Feeding is where nutrients are injected into the soil past the grass roots to feed the tree roots below. The advantage of deep root feeding is it gets the nutrients for the tree roots beneath the grass roots which erases competition. Some benefits of deep feeding are that the tree will get the most amount of fertilizer supplied to it, and that leads to an overall healthier tree. Just like a person on a healthy diet, a tree receiving the highest amount of healthy nutrients is better prepared to fight disease and fungus. Canopy Tree Service work crews are experienced with making the best cost effective choices for customers. 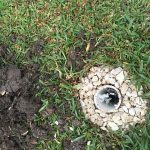 A recommendation to aerate to boost tree growth means the customer is receiving the ideal choice of service for their specific tree care needs.